Home » Blogging » Guest Blogging Benefits – Best Source To Build Backlinks & A Brand! 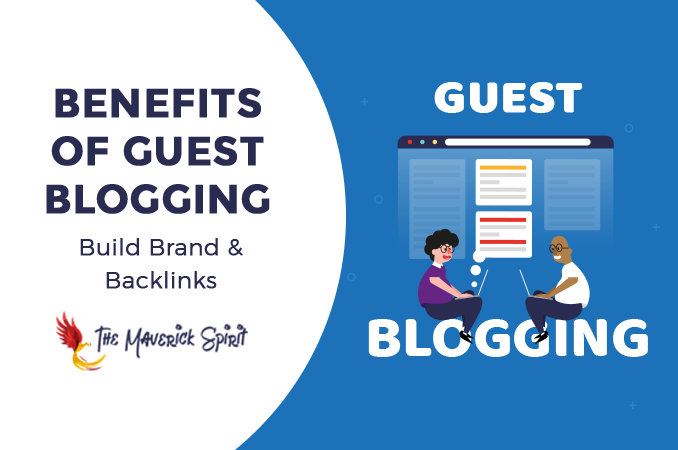 Guest Blogging Benefits – Best Source To Build Backlinks & A Brand! Struggling to build a brand and backlinks to your website? Is it a Yes? Who doesn’t? Guest blogging is the best, simple and good to go solution! 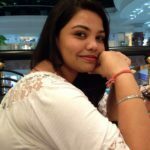 It is sad that most marketers avoid guest blogging not knowing that it is something that can give them an edge in SEO campaign. All marketers and bloggers will agree with me on the fact that, content marketing is a significant tool for success. Contrary to word that is out there, writing a guest post can benefit you in several ways than you can imagine. In this blog post, I am going to share the benefits of guest blogging and the strategies that you can put in place for some of the best SEO results. Majority of the people are most likely to click on the link or links you provide in a guest post. It shows that they are generally interested in what you want to offer them. So, prepare a guest blog post -> provide relevant outbound links -> and get curated traffic to your dedicated landing pages or blog posts. You will agree that content is King and distribution is the Queen and that is why it is best to have good content that can be shared through different Social Media channels. As you continue to share with different people online, search engines are most likely to give importance to that post and it will rank highly on the SERPs. Most likely, you will get connected to some of the most influential people and key decision makers in your niche. Increasing your brand authority is one of the main advantages of guest blogging that many people are yet to learn. When someone comes across your name on different websites then it will send a signal to them that you are competent. This perception is accurate because you appear on several websites showing that you know what you are talking. Authority stands out as one of the main elements of a good marketing strategy. When you share what you know and have the facts to support the same claim, then this will strengthen how others will view your content. Millennials do not trust advertisements. When you have social influencers out there and people are using ad-blocking apps, this is where Content stands out what brands can trust. It is worth noting that collections are essential for business and people. Most consumers always want to see the impact that a brand can make especially online. Guest blogging enhances your portfolio. If you share valuable information online, you are most likely to have your brand shine online. It will demonstrate to people out there that you are an expert in your industry. Branching out will increase your presence, and you should be able to add value to people who are now following and give them the reason why they should support you. This could bring in more sales or leads to your business! Guest blogging helps in increasing your exposure while at the same time creates awareness around your brand too. Do not expect to see thousands of people coming to your website at once but the more visible you are out there, more the traction will be. You can then increase this awareness by generating social media shares to extend your online presence. Increasing your exposure will help to build your brand online. For example, if you made a post for a website that has more than 30000 visitors, your job is most likely to be seen 4000 times. You may have some of these visitors visiting your blog, and that presence is most likely to increase every day. Guest blogging improves your writing skills. It is not a doubt that practice makes perfect, so your power will develop with kind of post that you create. It will impact you to create ideal content for your website. Your spelling and grammar will improve over time as you create content for other websites and clients. You can then apply all that you have learned to your site to make it stand out. By reading all the benefits of guest blogging you know the importance of -> How guest posting for your blog can help you develop a good relation online and to have a good SEO campaign! Flywheel – Managed WordPress Hosting for Designers & Agencies [Review + Offer] 186+ List of High Domain Authority Sites To Get DoFollow Backlinks!